Light cherry flavored cheese cream, condensed milk mixture. Served in pie crust. Toped with Whole cherries. I hope you enjoy this recipe and check out some more. 1.) In a medium bowl mix together cheese cream (Room Temperature), eggs and condensed milk. 2.) 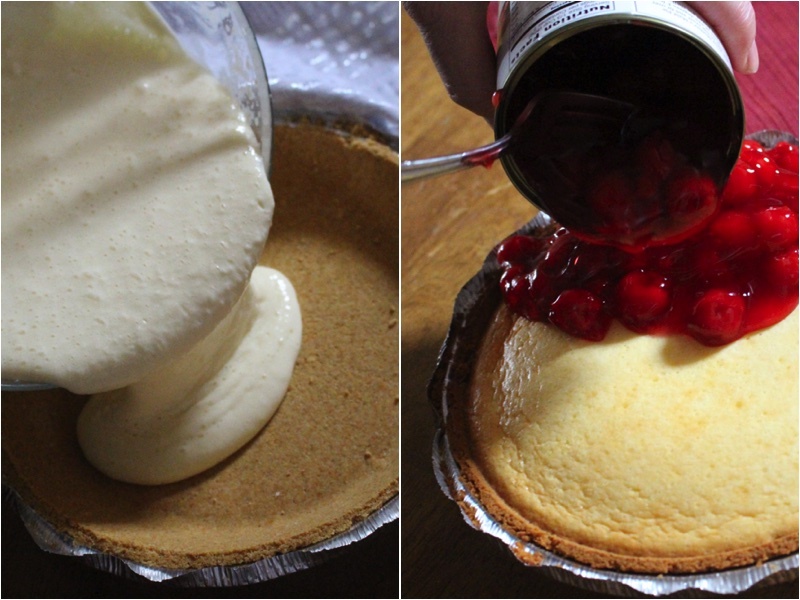 Pour your mixture into the pie crust, bake for 25 minutes on 350F. 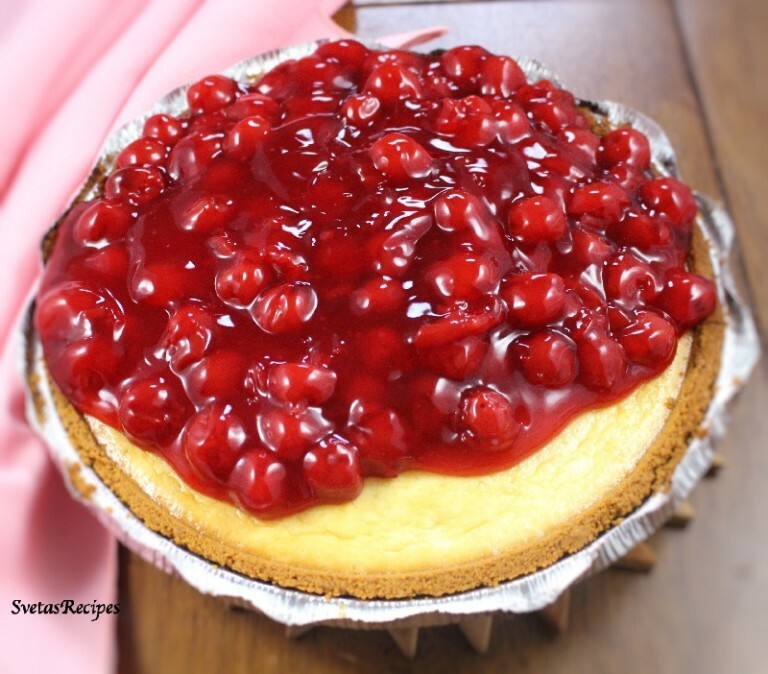 Take out, cool down and pour your cherries onto the top. Place in a serving dish and enjoy. 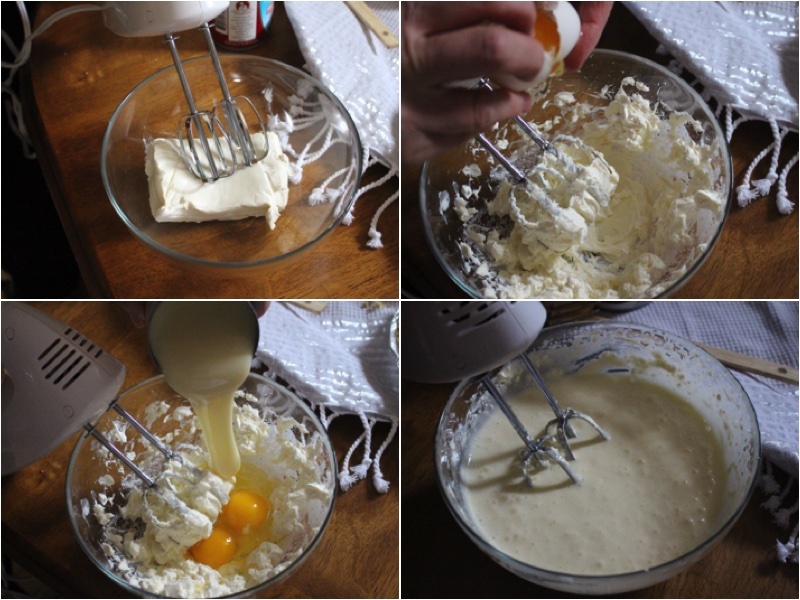 In a medium bowl mix together cheese cream (Room Temperature), eggs and condensed milk. 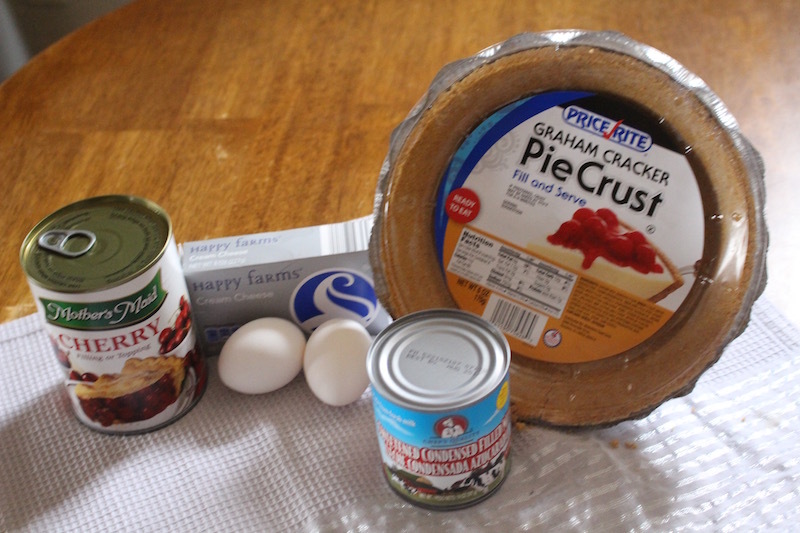 Pour your mixture into the pie crust, bake for 25 minutes on 350F. Take out, cool down and pour your cherries onto the top. Place in a serving dish and enjoy.